23 San Francisco Bay Area. 52 San Francisco Bay Area. 19 San Francisco Bay Area. 25 San Francisco Bay Area. 40 San Francisco Bay Area. Other: Wednesday nights out of StFYC. Specific: Folkboats, Bears, Birds, IODs, Knarrs. 59 Other: Cruise in the Ba Ha Ha 2018 and Puddle J. 58 San Francisco Bay Area. 37, 32 San Francisco Bay Area. Other: We want to get more sailing experience.. Specific: ketches are great fun. 54 San Francisco Bay Area. 49 San Francisco Bay Area. 39 San Francisco Bay Area. 33 San Francisco Bay Area. 29 San Francisco Bay Area. 53 San Francisco Bay Area. Other: Redondo Beach / King Harbor. 24 San Francisco Bay Area. 44 San Francisco Bay Area. 31 San Francisco Bay Area. 69 Boats Over 30 Feet. 43 San Francisco Bay Area. 27 San Francisco Bay Area. 36 San Francisco Bay Area. 32 San Francisco Bay Area. 28 San Francisco Bay Area. 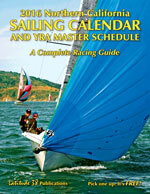 Other: Cal Offshore Race Week, Transpac, Cabo R.
16 San Francisco Bay Area. Specific: Farr 30, Far 40. Other: East Coast + Caribbean. 62 San Francisco Bay Area. Specific: totally open to any and all designs and . Other: Pref out of Coyote Point. Brisbane Mari. 34 San Francisco Bay Area. 35 San Francisco Bay Area. 42 San Francisco Bay Area. 30 San Francisco Bay Area. 55 San Francisco Bay Area. Other: I live in RWC - prefer boat in South Bea. 34 Boats Under 30 Feet. 28, 32 San Francisco Bay Area. 46 San Francisco Bay Area. 37 San Francisco Bay Area. 54 Other: Seattle, but could go many places for mu. 21 San Francisco Bay Area. 59 San Francisco Bay Area. 38 San Francisco Bay Area.